If Brady is the heart of Texas, then Hill Country is its soul. With Brady at its center and located west of Austin, it’s a popular destination spot with locals as well as tourists looking for a little of everything. Quirky and charming, full of warmth and community pride, the region boasts breathtaking rivers and lakes, rolling hills, farms, and award-winning wineries. Whether it’s a day out with the kids at a waterpark, or an afternoon with good friends and great music, there’s something for everyone. And to prove it, the team at Tomasik Family Dental has compiled a list of 10 amazing things to see and do in the Texas Hill Country, including their hometown Bee Cave. One of the region’s most iconic attractions has got to be Enchanted Rock. This large rock formation is one of the largest in the USA and is considered a State Natural Area. If you are feeling particularly energetic, you can take advantage of the 4-mile trail, or head straight to the top via a steeper but shorter foot trail. If stargazing is your thing, campsites are available too. No visit to the Texas Hill Country would be complete without a visit to the Franklin Barbecue’s BBQ. According to those in the know, this eatery serves the best barbecue in the known universe, and the long lines are a testament to this. Foodies from across the country make the pilgrimage and apparently even President Obama has popped in. For the young, and young at heart, Schlitterbahn Water Park is the perfect day out. Set on the banks of the Comal River, this unique park has a diverse range of water rides with 51 rivers, slides, rides, and chutes. If you’re an adrenaline junkie, it’s worth trying out the Master Blaster Uphill Water Coaster, or if you’re after something a little more mellow, grab a tube and head for Kristal River. If music is your thing, then make sure you visit Gruene’s dance hall. Operating since 1878, the venue has hosted some of the country’s most loved artists such as Willie Nelson, Garth Brooks, Loretta Lynn, and Lyle Lovett, to name a few. You can also enjoy performances from up-and-coming artists. Enjoy a meal at the Gristmill before the show starts. There are more than 50 wineries scattered around the Texas Hill Country, each as stunning as the next. Wine aficionados can savor the unique terroirs and winemaking styles while enjoying true Texan hospitality. If you’re exploring the region with children, many of the wine farms have kid-friendly areas with loads of activities to keep them busy. Take a cruise around Lake Buchanan and spot the bald eagles in their natural habitat. For bird lovers, seeing these majestic birds nesting is what bucket lists are made of. There is no reason for Fido to stay home while you explore the Texas Hill Country. If he loves fire hydrants—and which dog doesn’t?—then you need to pop in at the Fire Museum. What is easily the world’s biggest fire hydrant, the Dalmatian-spotted structure weighs around 4500 pounds (ca. 2,041 kg) and stands 24 feet tall. Your furry friend is also welcome to join you while you tour the museum too. Take in the wonder at the Natural Bridge Caverns, one of the major natural attractions in the Texas Hill Country. It’s worth taking the 75-minute underground tour with one of the knowledgeable guides, as they explain how the rock formations came about. Or, you can enjoy other fun activities like panning for gold, zip lining, or hitting the adventure ropes course. Nothing beats the outdoors, especially at Garner State Park. From breathtaking views to sparkling waters, it’s the ideal weekend getaway spot with families. Whether you want to hike one of many trails or spend an afternoon floating on the Frio River, it is easy to see why this is one of the most popular parks in the area. If you plan on camping, there are over 330 campsites, and for the glampers, there are close on 20 stone cabins. Who says you have to head out to Africa to enjoy a safari? The Natural Bridge Wildlife Ranch brings the wildlife to you, with more than 40 animal species. Get up close and personal with zebras, giraffes, rhinos, ostriches, wildebeest, and a lot more. Little ones can visit the petting zoo, and there is also a gift shop and restaurant. 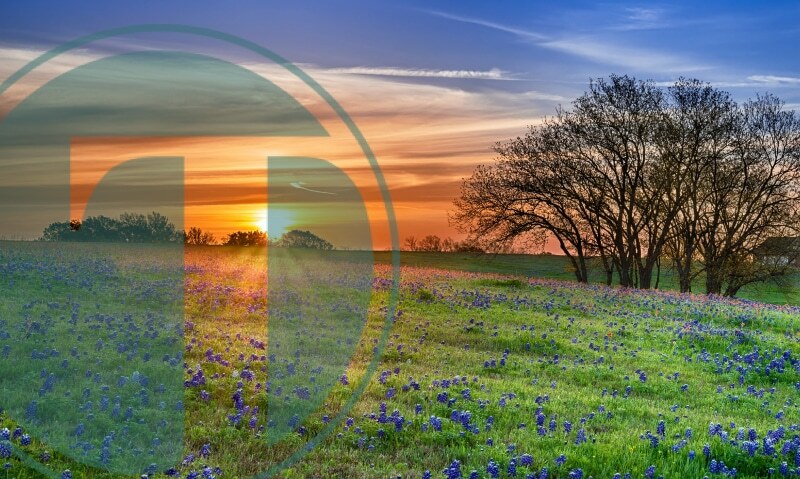 So there you have it, the Tomasik team’s top 10 things to do in the Texas Hill Country. If you think we have left out a must-see, please let us know in the comments below. Who knows, you might just see us there the next time you visit.